Everyone needs to be concerned about his or her credit score. This impacts your ability to lend money; this could be in terms of taking out a phone on contract, or it could be in terms of taking out a mortgage. It impacts people in different ways. However, there is no denying that everyone needs to work to maintain a good rating. Below, we reveal some of the careless credit mistakes people are making today that could impact the rest of their lives. Failing to check your credit report – Failing to check your credit report is a mistake in itself. Your credit report is your financial history and health. You need to check it regularly to ensure that everything is in order and that your identity is safe. Getting cash advances on your credit card – It is not advisable to get cash advances on your credit card, as you will incur exceptionally high interest rates. These rates are much higher than those applied to purchases. Plus, they come with transaction fees and there is no period of grace. This means the interest on the money begins to add up immediately. It is usually much cheaper to pay for the product or service in question directly with your credit card instead. You think all credit is bad credit – If you have a bad credit rating, you may be hesitant to touch a credit card or a loan ever again. This is completely understandable. Unfortunately, the truth is that you are going to really struggle to repair your credit score if you don’t borrow money in some form. To repair your rating, you need to show that you are reliable and that you can make repayments. This is why loans with bad credit and monthly payments are a good idea. They are easier to be accepted for, and you can show lenders that you are reliable and can pay on time every month. Making minimum payments – If you only make the minimum payment on your credit card every month, this can result in a bad credit score. 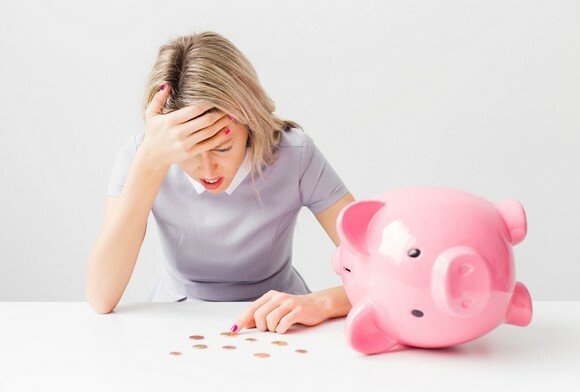 By doing this, you probably aren’t getting anywhere closer to paying the debt off, and it signals to lenders that you are struggling to pay off the money that you owe. Thinking ‘no debt’ means ‘good credit’ – In fact, it is quite the opposite. If you have never taken out any form of credit, be it via a loan or a credit card, you will never have a good rating. This is because lending firms do not have any data to go off. They do not know whether you are someone credible to lend to or not because you have never had to pay money back before. You make numerous credit card applications – Finally, it can be tempting to make a whole host of credit card applications and then merely accept the best credit card that comes along. However, the number of applications has an impact on your credit rating, and it is not a good one.